Why choose our dental office Beo Smile Design? Choosing a dentist to whom you can give your trust can be a frustrating process. Our experience speaks that a large number of patients who choose their dentist remain deprived of answers to a variety of questions about treatments and techniques. There are complications and personal dissatisfaction with services. That’s why our approach is different. Since any dental treatment is an experience, in most cases, it is traumatic for the patient, it is necessary that the dentist’s access to each patient be individual and professional, about the patient, quality service and a good price for the services that need to be done. There are a large number of dental practices that deal with dental services, but why choose us? For you, we have created a page that contains the most common questions of patients who opt for dental services abroad. If you want to find out more, or your question is specific, you can contact us at any time. We will respond to you as soon as possible and thus resolve your concerns and bring the treatment and treatment procedures closer to our clinic. The Beo Smile Design dental office was founded in 1984 and is characterized by a very long tradition that is very important in identifying issues and quality. The key factor is the experience we possess, as it can often be crucial in approaching and solving the most difficult cases in dentistry. From the very beginning, we constantly constantly improve and improve our techniques with new technologies in dentistry and the time in which we live. In this way we are able to offer the most modern and high quality solutions in the plan and the implementation of therapy. Experience followed by continuous refinement and application of modern technology is the key to the success of the office. The basic goal of our office is satisfied and certainly a smiling patient. An expert team from our office will always try to meet patient demands. 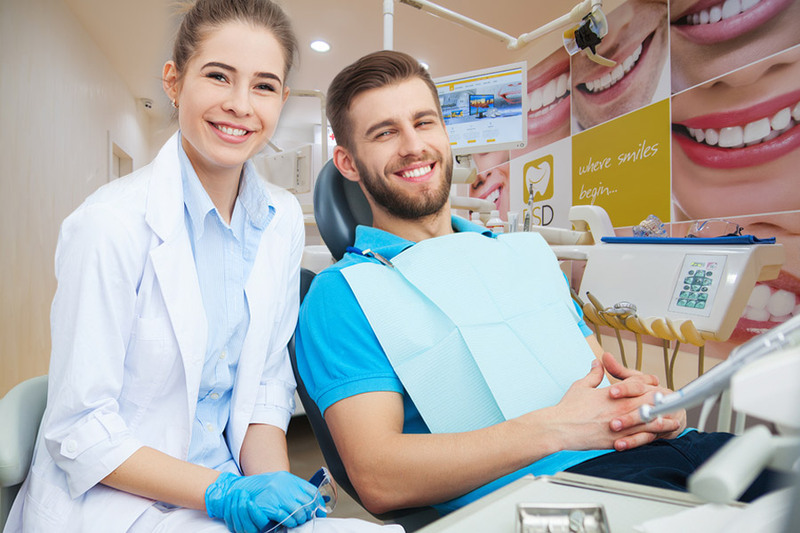 Usually going to the dentist is an embarrassment that must be done with consultation and with a professional approach to solving your problem. Individual approach is certainly something common in our office. Our goal is to provide you with the best solution both with aesthetic, qualitative and financial aspects. Ordinacija gathers dentists who through their work and experience perform highly specialized segments in the treatment and dental treatment. The main support to our (dentist) is the close collaboration between a clinic and a modern laboratory which is the key to any successful work. The method of production as well as the problems of each individual case are different, which gives additional motivation for the solution to prove our team that each case can be precisely and adequately resolved, but also to meet the wishes and demands of the patient. Team work is very important, because only this can overcome existing problems in the process of treatment and the production of future dental compensations which guarantees the ultimate quality of the final product. Quality guarantee and success in making dental restorations depend primarily on the dental technician is trained to handle the materials and the appliances he uses in his work properly. Using quality materials and continuous improvement, both in the country and abroad, is an important prerequisite for the created benefits to remain the same quality for many years. That is why our definition is based exclusively on high-quality foreign quality materials as well as the latest technical solutions in laboratory practice, and one of them is also computer-generated and design (CAD / CAM) technology.